The Jipe Moyo farmer group believes improved groundnut variety Pendo sends more children to school, Kinaga, Kahama district. 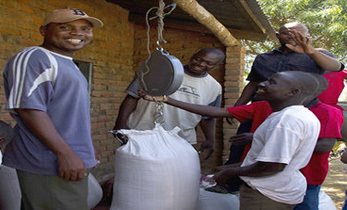 Annual groundnut production in Tanzania doubled from 340,770 tons in 2008 to 810,000 tons in 2012, and smallholder farmers as part of the Tropical Legumes II project largely contributed to this growth. Smallholder farmers hold the key to agriculture all over the world, and it is no different in Tanzania. 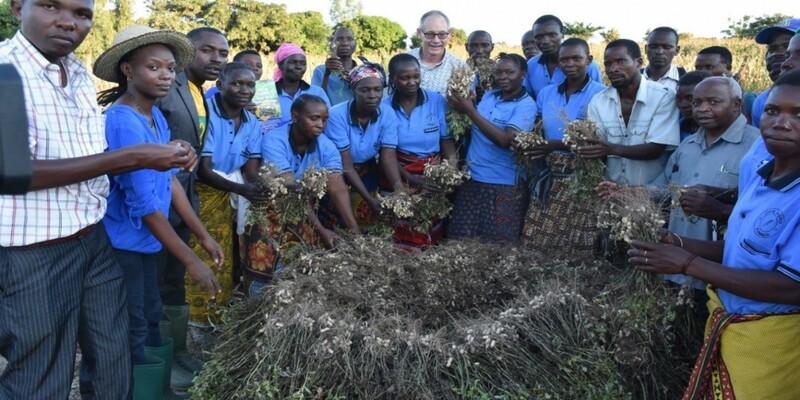 Here, the Jipe Moyo group (which means ‘don’t give up’) formed in 2011 as a savings and loans group, has discovered the benefits of cultivating groundnut variety Pendo. The group started out with 30 members (13 men and 17 women) and a capital of Tshs 150,000 (US$ 68.19) [(each member contributed Tshs 5000 (US$ 2.27)]. Registering themselves as a savings and loans group, they opened a bank account that qualified them for a District Council development grant of Tshs 300,000 (US$ 136.38). 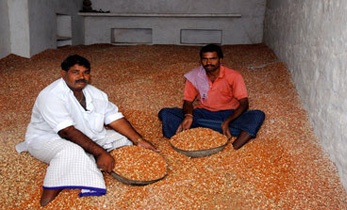 The grant enabled them to get enough capital to buy seeds of groundnut and hybrid maize as well as inputs such as fertilizer and pesticides. They also began giving out loans to group members in turns. For every Tshs 15,000 (US$ 6.81) loan taken for 3 months, one would pay Tshs 20,000 (US$ 9.09) to the group. Jipe Moyo was lucky to have access to improved seed of Pendo, an early maturing groundnut variety that takes approximately three months to grow. 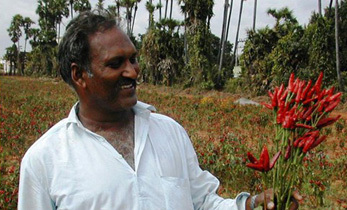 The majority of farmers in the district still grow the red, small seeded and poor-yielding variety known as Red beauty. Pendo has a yield superiority, almost double that of Red beauty (800 vs 1600 kg/ha under farmers conditions). At the time of our visit to the field, harvest was going on. They demonstrated to us the drying process for seed production which they learnt from their research and extension advisors. The farmers revealed that majority of their neighbors are not yet aware of the availability and superiority of Pendo. As a group, Jipe Moyo has proved that in union lies strength. 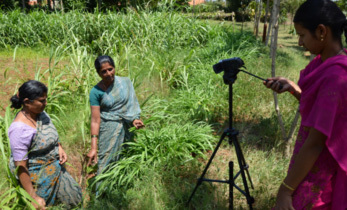 They have benefitted significantly from the project and with additional income mainly from groundnuts, they bought a group farm for 1 million shillings. The other benefit of this enterprise has been that their children are now being sent to school. Pendo has made Jipe Moyo proud. 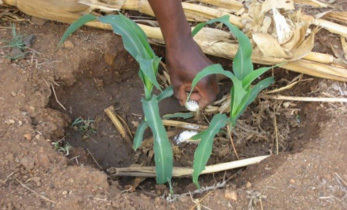 It has brought them income, security, and unlike maize, it does not require much fertilizer or agrochemicals to produce. This is a success story from the Tropical Legumes III project funded by the Bill & Melinda Gates Foundation. 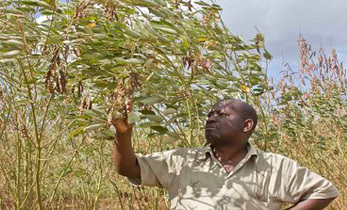 Emmanuel Monyo , Project Coordinator – Tropical Legumes III project and Theme Leader – Seed Systems, Genetic Gains Program.